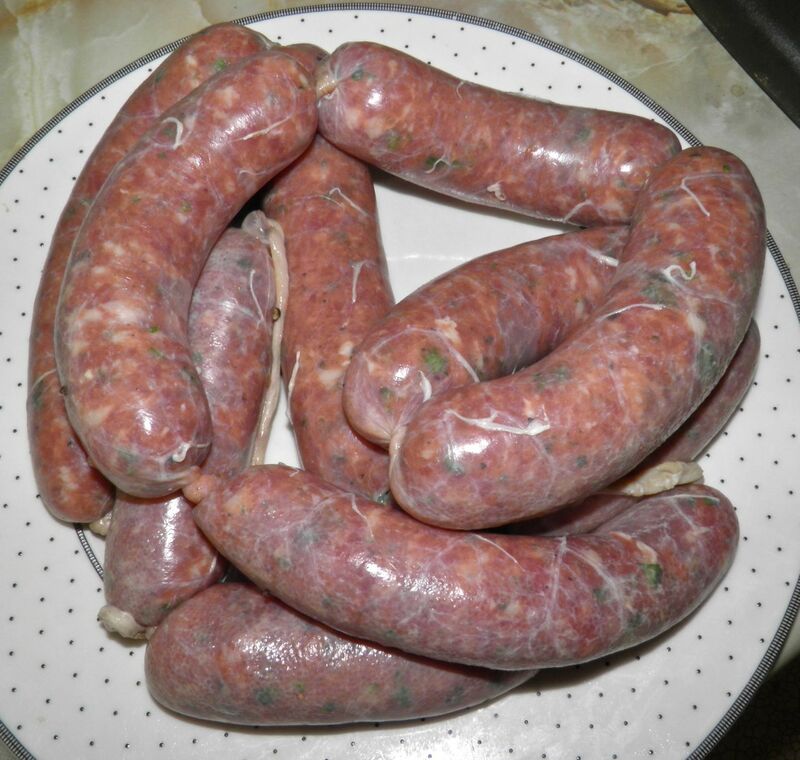 I’ve been having a lot of fun making my own sausage meat lately. Two reasons are the fact I now have a grinder/stuffer attachment for my KitchenAid (who doesn't love gadgets) and that I have found a place locally that sells natural casings (Greeks in Bridgewater). Natural casings is code for salted pig intestines. Gross, right? Not really. They’re the thing you need. No real way around it. If you’ve purchased boutique store-made sausage you’ve eaten them. You survived. If you can get past that fact, which I’m sure you can, a whole world of sausages open up for you. All of us, unless you’re in an extremely cosmopolitain area, live in a sausage dead zone. We only get a few types of what’s made world wide. Italian, chorizo, lamb, andouille, bratwurst and the like are as exotic as it gets. But if you make your own, well, the world is your oyster. There are sausage specialties in almost every country. We are only familiar with the tip of the iceberg. Have you ever heard of cantalupo, leberwurst, boudin blanc, lap cheong, lukanka or cervelat? I rest my case. There’s also another good reason to make your own sausage. If you’re at all worried about fat content, or preservatives, you can control exactly what goes into your homemade sausages. Sausage making is actually an old-world tradition that dates back centuries, if not millennia. It was a way to do “nose to tail” eating, when we didn’t waste so much of our food. If you had a pig, or sheep or cow, you used all of it. It was simple practicality. Since we on this side of the Atlantic were populated by old world immigrants there really are no actual sausage recipes originating here. Those immigrants brought their family recipes and traditions with them. When you go looking for American – or in my case Canadian – sausage you are out of luck. It makes perfect sense that we don’t have any. Native populations didn’t make sausage, that I know of. I’m assuming because of the semi-nomadic hunter/gatherer nature of their existence. So what does define a regional sausage? Usually it is signature flavours common to the cuisine where they originate. What would make a Canadian sausage? That’s the conversation I found myself in a few weeks ago with friends after we had finished eating homemade hot dogs. What are signature “Canadian” flavours? The first two things that spring to mind are Tim Hortons coffee and donuts but they probably wouldn’t be too good in a sausage. With sausage yes, in sausage...not so much. But there are some other signature “Canadian” tastes. How about maple syrup, smokey bacon and beer? There’s always beer. Now we’re on the right track. Yes, there are maple sausages around, but they’re often quite sweet and eaten for breakfast. To make a truly Canadian dinner sausage you would have to strike the right balance of bacon/smoke/sweet. That became my goal. I actually did a few fry tests on this as I went along, just to make sure that the everything was in harmony. It took a couple adjustments to make me happy. I included smoked bacon and liquid smoke. I don't have a wood smoker (yet). That would have been a better way to go. We will be enjoying the fruits of my labour next weekend. Just to be safe I’m going to be making maple mustard as a condiment. That way we can adjust the maple flavour as we wish as we eat. I may even try sauerkraut on them. Fear not in case you feel you can’t make your own sausage because you don’t have a grinder or stuffer. You really don’t need either. 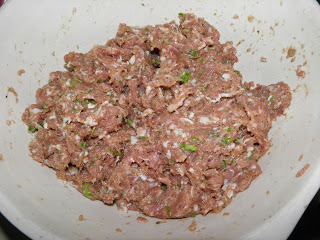 You can use a food processor to “grind” meat (or buy pre-ground) and a large funnel is used in many kitchens to stuff sausages. I’m sure something could be found very cheaply at a dollar store. Making your own sausage is actually quite a lot of fun and you can tailor them exactly to your own taste. I hope this recipes is tried by at least a few of you. Maybe we can start a Canadian tradition. Canada Day (July 1) is just around the corner. Wouldn’t it be fun to celebrate by cooking up some truly Canadian sausages, or if you prefer, sausage patties? Wave "the flag" in a different way. Combine all the ingredients and mix well. Refrigerate overnight. The next day either shape into patties or stuff into links. 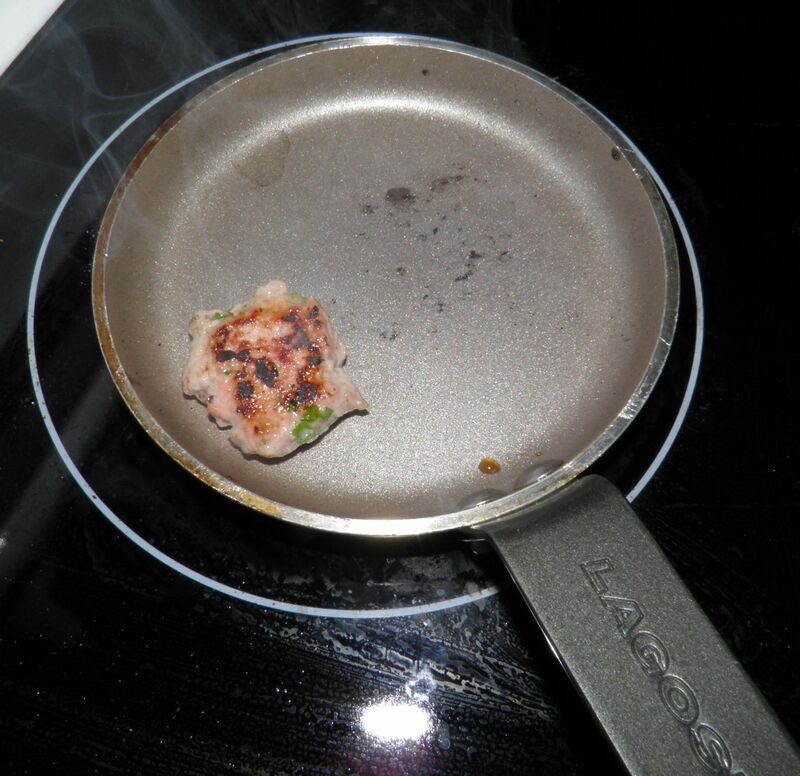 If making patties, freeze until ready to use. 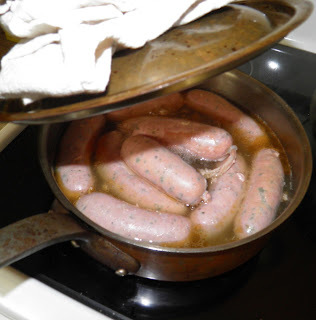 If making sausages, boil in just enough water to cover for 30 minutes. Drain and refrigerate for up to 2 weeks. Cheap bacon is the way to go. It’s much fattier. Just make sure that it’s naturally smoked. * If not stuffing and boiling you can omit the curing salt. It makes the colour much pinker than if it’s not present and helps keep them fresh longer. You know, I really like comments... I really do. Questions? Comments? Derogatory remarks? Just ask! I’ll answer quickly and as best as I can. If you like this post feel free to share it. If you repost, please give me credit and a link back to this site. Dang!! I lived in Canada from my 5th till my 10th and now in my doting old age (nearly 68) I home in on everything Canadian. However.... I'm on Low Carb so beer and maple syrup are o u t and to my disgust I can't find Maple Essence here in the Netherlands. I'll be pinning this recipe though, if just for the fact that it's Canadian LOL. This looks delicious, neighbor. We haven't made sausage yet, but bought a grinder/sausage stuffer a week and are anxious to get to started. Your recipe look to be right down our alley. Thank you for sharing. What’s blooming now? Siberian iris!